Our proven success in online business and marketing has given us invaluable experience in successfully creating, tweaking and improving SEO and page ranking. The all-round package is called T.R.T – Top Ranking Techniques .It combines all the latest methods and tricks to quickly boost the ranking of your business website, addressing all the relevant keywords, forging premium content and tracking the success. The technological advancement of search engines has evolved to the point where keeping up with all the news is becoming difficult. Nevertheless, you want your page to be at the top of the search rankings. This is where T.R.T. can help, because it involves devising a strategy and plan of action for your specific company, and employing methods that will put you ahead of the competition. Great content hits two birds with one stone. Interesting content and articles are more likely to go viral, attracting more visitors. At the same time, posting guest posts and press releases is a tremendous help in getting your website ranked higher in search results. Sharing and establishing an online presence will make you more recognizable, improve your brand image and get you a lot more visitors. This is exactly what SEO Ways’ T.R.T. can offer you! 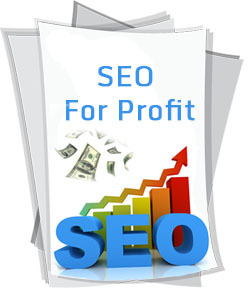 Want to Profit From SEO? T.R.T. involves initially targeting low competition keywords as a means to quickly get your website up in the rankings. After that, we move on to high competition keywords, and target specific, longer, keyword phrases that describe specific products or services relevant to your company. The result – initially we secure your ranking on low competition keywords, and later on we improve search results on higher competition keywords, further boosting your business. It Doesn’t End at Placing the Content. SEO Ways’ T.R.T. isn’t only about placing the content and forgetting about it. Our services also include spreading the word and helping you establish a social presence, with people sharing your ideas and telling others about your company. We pay extra attention to making your ideas and offers stand out of the crowd, so that it may go viral on the internet. After all – what good is content if nobody reads it! After the bulk of the work is finished, we start tweaking and adjusting your website to make sure it performs its best, and receives the best search engine ranking. In SEO, details matter, because a better page title might be just the thing to put you one search position above your closest competitor. Our expert consultants will review every single square millimeter of your website, adjusting everything for maximum efficiency. After That, It’s Show Time! Now that everything is in place, every detail of the website looked at and optimized, it’s time to launch. Preparation is the key, and with SEO Ways’ T.R.T. by now you have a website that’s ready to conquer the search engines, as well as gain popularity and the community’s interest. After the launch, you will quickly be mentioned, discussed and appreciated by bloggers, news agencies and market analysts. 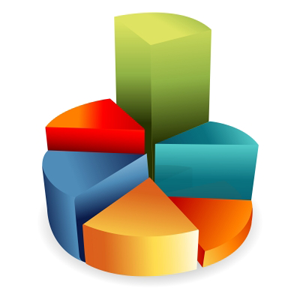 Here at SEO Ways we believe that the only way to quantitatively measure the success of your SEO efforts is by carrying out in-depth statistical analysis. Every month, we’ll communicate you and present a report discussing what we’ve done, and how it affected the success of the strategy. This way, we can triple-check which methods work best in your case, and make sure to use those methods more in the future. Still not sure? Have a look at the most common questions about T.R.T. 1. When will I rank number 1 on Google? Unfortunately, Google uses incredibly complex algorithms that are never shown to the public. For this reason, no one can be absolutely sure what exactly makes you rank #1. We have, however, gained considerable experience through trial and error to know what methods work better than others. We apply these methods to your specific situation, and for some keywords you may rank #1 in a month, and for others it may take months. Anyone who says they can guarantee you to be at the top of the rankings on all they keywords is, frankly, lying. 2. How can I trust you? Our work experience speaks for itself, as we have spent years training and practicing in the field, so that you don’t have to. If you’re still doubtful, check our recommendations and feedback from one of the clients whose website ranking and performance we’ve improved. 3. How expensive is T.R.T.? Just like we can’t promise #1 ranking for all the keywords relevant to your business, we can’t give you a price before we’ve researched your competition and your current situation. We take pride in having a customized approach to each and every one of our clients. Contact us, and we’ll examine your situation, give you a list of suggested keywords, as well the estimated amount of work to be done, along with our quote – all of this free of charge! 4. Is this kind of investment risky? As we mentioned before, we can’t guarantee #1 place on search rankings, and anyone who does is just trying to fool you. Our experience in the field, however, has given us a clear vision of what actions to perform to maximize the profits and minimize the risks. The result – increased sales and boosted profits for your company. 5. Should I contact you only once my website is done? This is actually one of the most common mistakes of young online entrepreneurs. Diverting your attention to SEO only when your website is finished means that you’ll have a lot of work to do before you can launch. It’s always a better idea to do website development simultaneously with SEO strategy planning. This way you can be sure that everything fits nicely, and that your site is ready to launch as soon as possible.